A Laser shaft alignment system designed and built for mechanics has finally reached a price level which everyone can afford. Low cost usually means giving up on either usability or quality, or both. Not this time! The Fixturlaser Laser Kit consists of two Bluetooth wireless sensor units using two line-lasers. The use of line-lasers is significant as it simplifies the setup process minimizing setup time. To make setup easier still the sensors come pre-mounted on their fixtures and pre-set to the most common setup. The software runs on a tablet, or phone (IOS or Android, note this App needs Bluetooth 4), guiding the user through the entire alignment process. The user interface is entirely graphical and uses no text, so no language barriers to overcome. The software leaves you without any doubt how your machine is aligned and it is easy to see when your job is complete. As you would expect reporting is automatic and contains all the information you need for record keeping or submission to the customer. As you can see, the Fixturlaser Laser Kit has all the functionality you would expect from an entry level laser shaft alignment system. The technical platform which the system is built upon is common with our most successful and reliable product the Fixturlaser NXA Pro providing for a long and trouble-free operation. 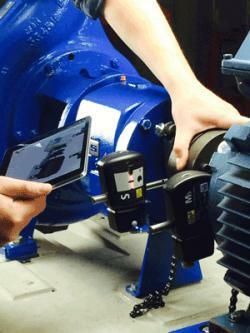 Download a pdf brochure for the shaft alignment kit here. 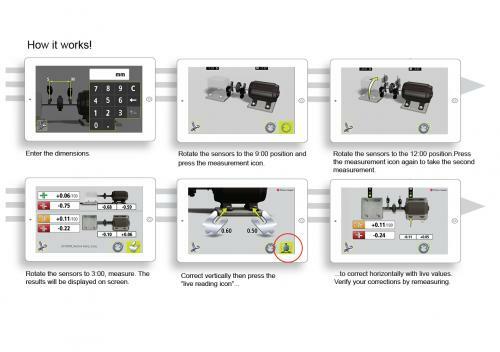 See how the Fixturlaser shaft alignment kit works with your phone or tablet (using the free app) in the video below.